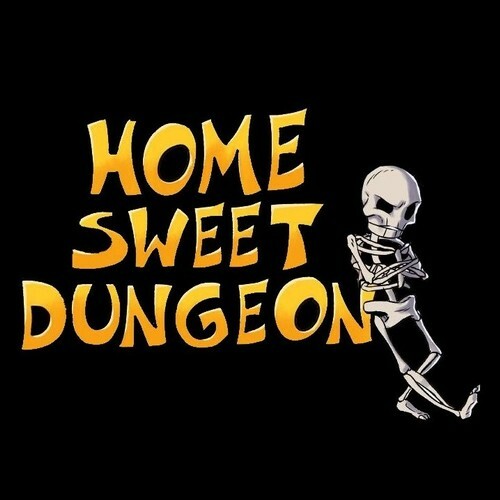 Home Sweet Dungeon is an animated workplace comedy centered on the misadventures of Razzle Dazzle Skeleton (Raz) as he attempts to get out of his job as a creep in a low level dungeon. The setting will be that of a Dungeons and Dragons-esque fantasy world with some more modern marvels, but outdated by today’s standard such as VHS tapes and time card punch clocks thrown in. The script for the pilot is finished and the project already has an animator, but we need some voice actors for the supporting cast. The pilot is only going to be around 3-5 minutes so neither supporting role has all that many lines, Richard has the most at eight and Keith only has two. That said, if the pilot proves successful, I would be extremely interested in continuing to produce 3-5 minutes shorts and I would love to maintain the same cast. If you are chosen for a role I will send you your lines along with some direction as to what I am looking for. Feel free to audition for both roles and go wild with your approach. 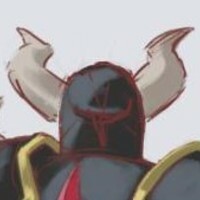 While I do kind of have a vague idea as to what I'm looking for, I'm open to different interpretations. 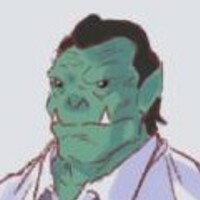 The half orc supervisor of the dungeon. Richard resents his desk job, but finds it better than potentially dying to adventurers for minimum wage, so he stick to it. Richard has become mostly apathetic to his coworkers’ needs and only cares about making sure things run smoothly. Richard despises Raz for his lack of work ethic and his constant schemes to duck out of work, and is constantly looking for an excuse to fire the skeleton. I originally imagined a more gruff and exasperated voice for Richard, but like I've said before I'm open to different interpretations. It doesn't matter! You do the job, or you get the hell out of my dungeon. The Final Boss of the dungeon, Keith has an ego the size of his/her mighty armor. Trapped in a cursed set of armor Keith enjoys nothing more than beating down on beginner adventurers in over their heads. Because Keith is so strong, the dungeon occasionally has to swap him/her out with impostor black knights to allow some adventures to “beat” the dungeon and claim it’s treasure. Keith resents Raz for beating him in a game of dice and winning the eternal goblin soul of his former slave and takes any opportunity he/she can to humiliate the skeleton. Keith is huge and very intimidating looking, but I was thinking I'd like for him/her to have the least intimidating voice as possible. Keith could be a guy or gal, depending on who is chosen, so all voices attempts are welcome, so go wild and try anything. The voice could also just be very casual and if you do a good enough intimidating voice, I might even change my mind and go with that. Basically, once again try anything. Well, well, well. If it isn't Razzle Dazzle Skeleton.